Walking through the garden and house of Claude Monet (1840-1926), is a surreal moment. 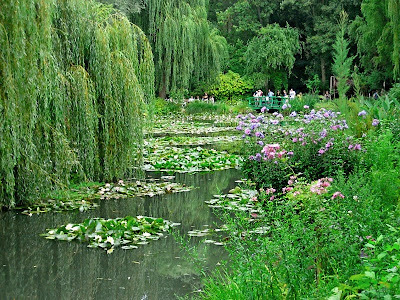 The famous French founder of impressionist painting is likely just as famous for his flower gardens and water lily pond. 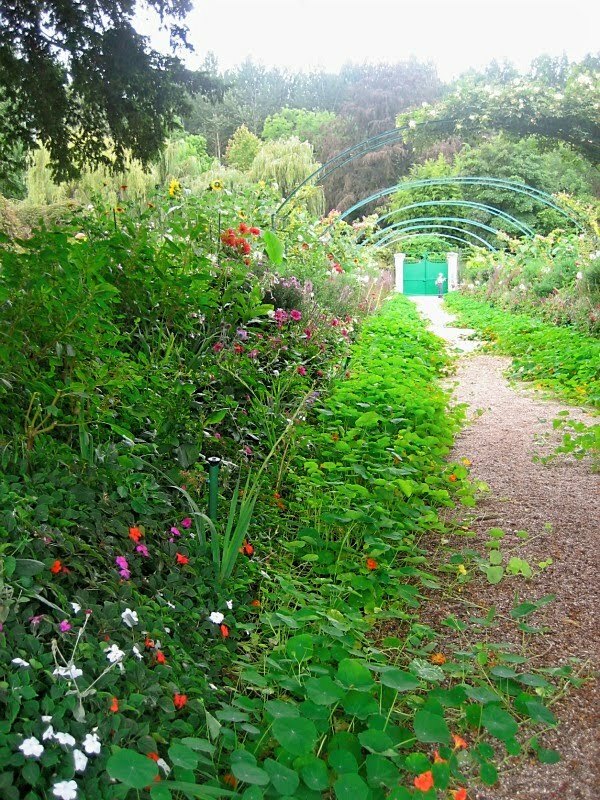 As a gardener myself and only having had the chance to see this garden in photos in my old-school paper address book that I kept until it fell apart, it was like a dream to step inside this spacious property. 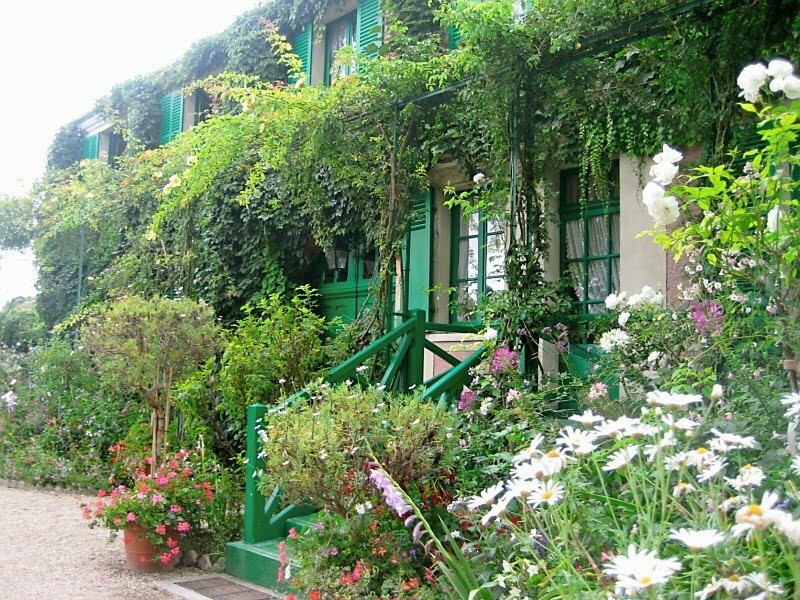 In Giverny, France the garden is sprawling and packed with visitors in July 2009 when I first got the chance to tour. 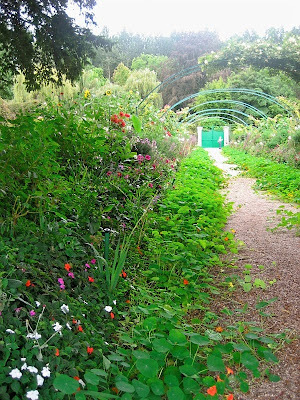 It is also packed with flowers, shrubs, vines and trees. There is so much to take in. Monet's gardening style is informal and rambling. No clipped boxwoods, no formal hedges and though I do love a formal Italian or French garden, this is the garden that you can relate to when you don't live in a royal palace. "More than anything I must have flowers, always, always," Claude Monet. I'm pretty sure his motto would be that you can never have too many flowers in a garden. And, with so many visitors to this garden it was virtually impossible to snap a photo with the famous footbridge empty in the background as Monet would have painted it. But then, a garden should be enjoyed. 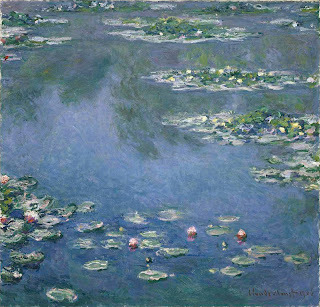 Monet loved painting the water lilies later in his life and painted a whole series. 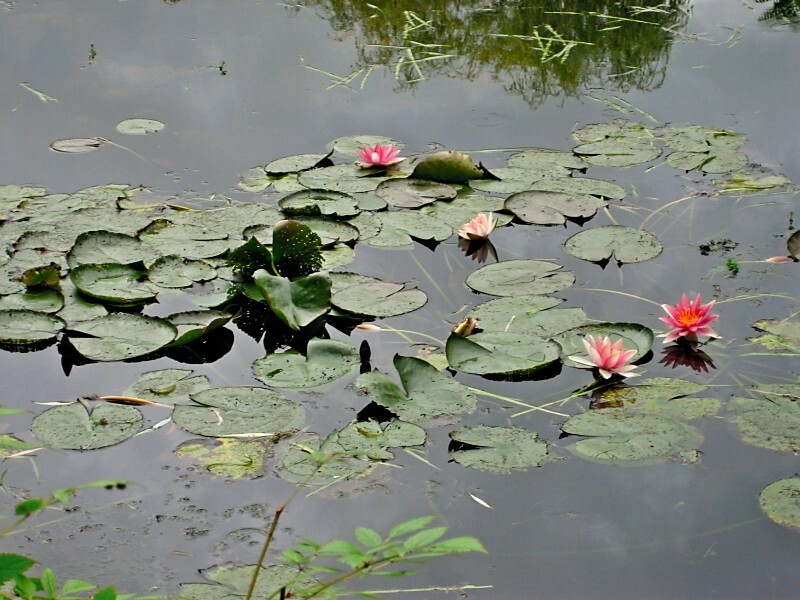 If you can't visit the garden one day, do visit an art museum to view his paintings. 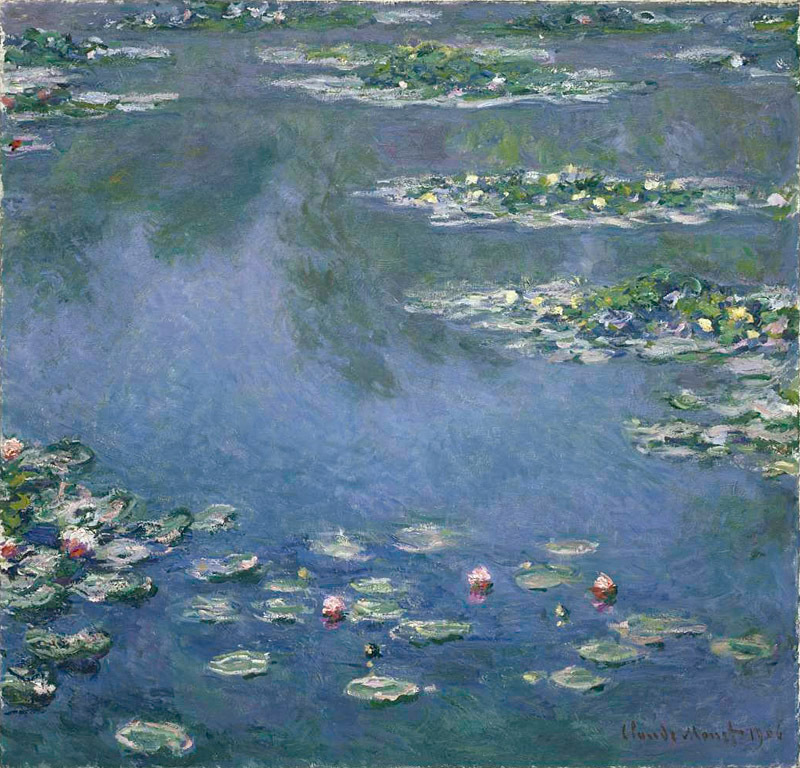 This painting, Water Lilies, was painted in 1906 and currently hangs in the Chicago Art Institute. I have to agree with the painter, however. His best work of art really is his garden.